The images on this album spread were captured during the ceremony. The left image shows the bride and groom holding hands while the bridal party is watching the couple. 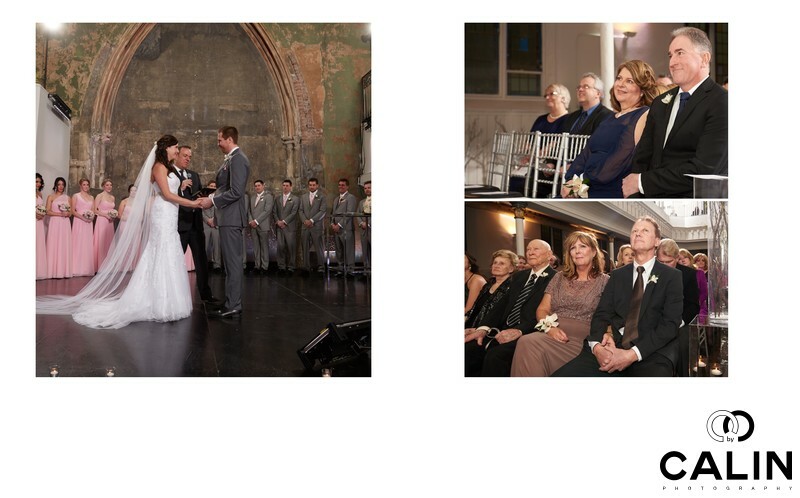 The images on the right show the families watching the Berkeley Church wedding ceremony.